PHILADELPHIA—Happily nodding their heads and shaking hands with each other in congratulations, thousands of pleased but calm Philadelphia residents reportedly said, “Well that’s nice,” Sunday after the Eagles’ Super Bowl victory over the Patriots. “This sure is swell. 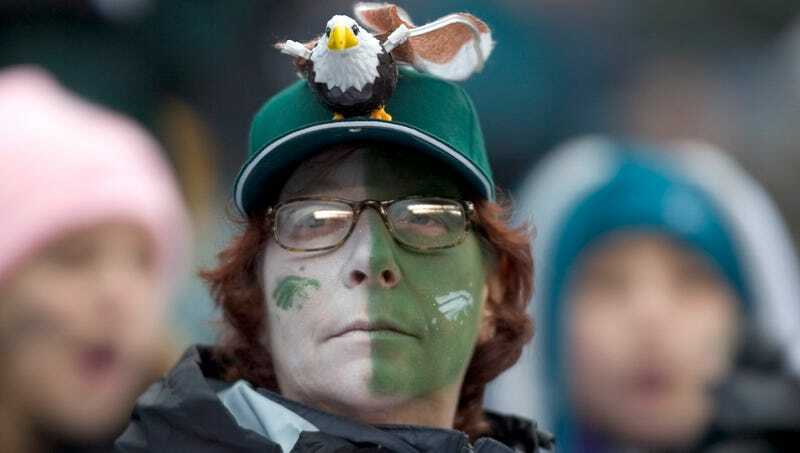 Both teams played a good game, but I’m glad we came out on top,” said local Eagles fan Jeremy Romano, who smiled and quietly began cleaning up beer cans and pizza boxes as his contented party guests quietly patted each other on the back while watching the Eagles receive the Lombardi Trophy. “Boy, it sure is nice to finally see the Eagles win the Super Bowl. The Patriots can hold their heads high, though, they really gave it their all. What a pleasant evening.” At press time, sources confirmed that a group of celebrating Philadelphia fans on the street had grabbed dozens of empty beer bottles and placed them in the appropriate recycling bin.